Being a good driver is about more than handling a car. You also need to know what road-signs mean, what makes for good road etiquette and how to anticipate dangers before they happen. This is why the driving Theory test is designed to help you read the road. It’s a sad but true fact that one in five new drivers have an accident in their first year. But research shows just three hours of hazard perception training can really reduce the accident rate of new drivers. The theory test is made up of two parts; a multiple choice section and a Hazard Perception test. The multiple choice bit is delivered using a touch screen computer and mouse, while the hazard perception test records your responses through the use of a computer mouse button. 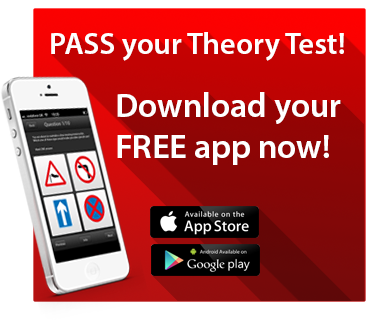 You’ll need to pass both parts to successfully complete your theory test. If you pass one part and fail the other, you’ll fail the whole test, and will have to take both parts again. Book your theory test the standard cost of the Theory test is £23. You’ll usually get your test date within two weeks of booking. To find out about special help available with theory test, contact the DVSA by emailing theory.test@dsa.gsi.gov.uk . Save time and money, getting you through to your test quicker!